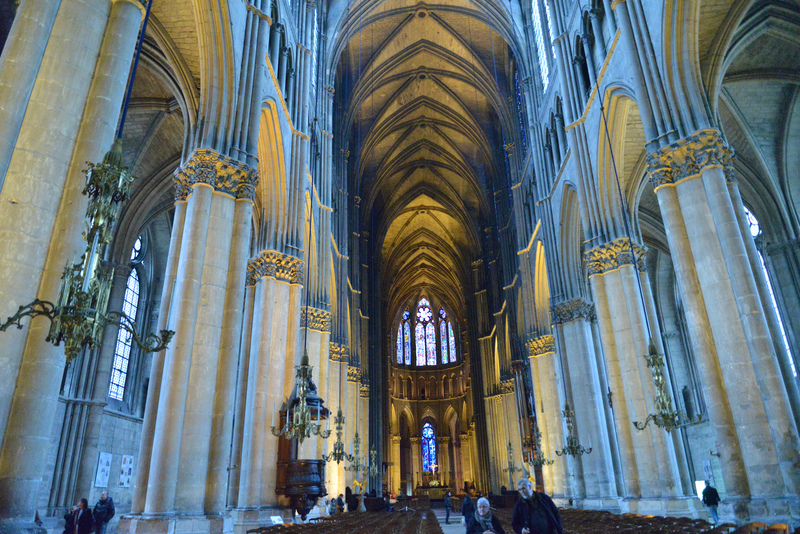 Like most of the cathedrals in France, the one in Reims is something to behold. Like the famous cathedral in Paris, this cathedral is officially known as “Notre-Dame” (Our Lady) and acts as one of the city’s most important landmarks. You’ll even notice that the architecture and design of the building shares a number of certain stylistic similarities with its more famous namesake. The cathedral has been an important part of city for over 700 years, since being built between the years 1211 and 1275. Another church had stood on the site of the Notre-Dame de Reims since the end of the 5th century before being burned down. 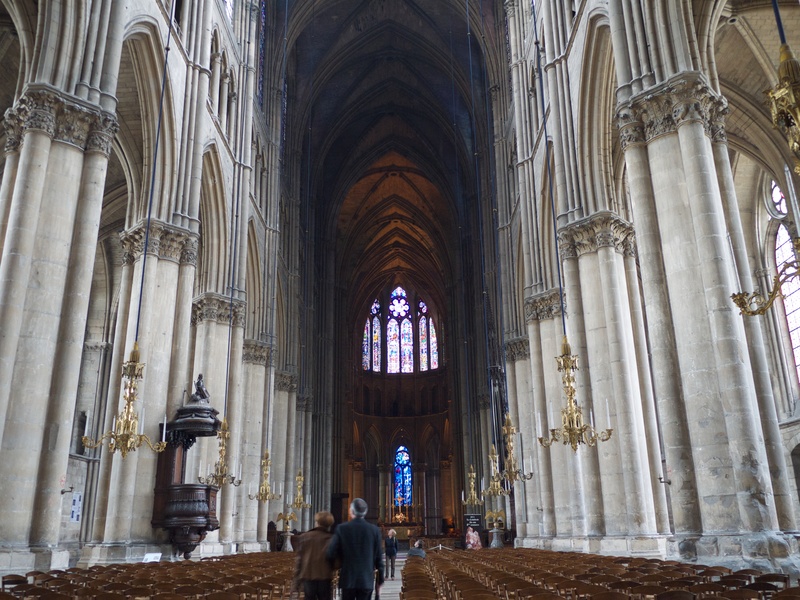 You could say that the construction of Reims Cathedral would probably have never taken place had it not been for this event. 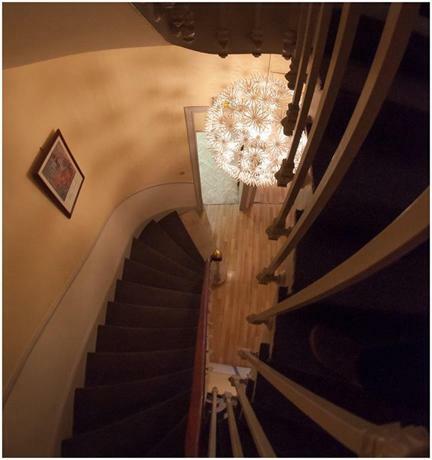 The architecture of the building is quite eclectic due to the fact that the different parts were completed at various times throughout the 64 years it took to construct. For a while the cathedral even featured an elaborate labyrinth in the floor of the nave before being destroyed during the 18th century. While the cathedral’s towers are not as tall as they were originally intended to be, they still reach an impressive 266 feet into the air and are home to “Charlotte”, a 10-tonne bell, which was named by the Cardinal of Lorraine, Charles, in the 16th century. Few buildings remain intact in any one place for several centuries without soaking in, and being part of, plenty of history. 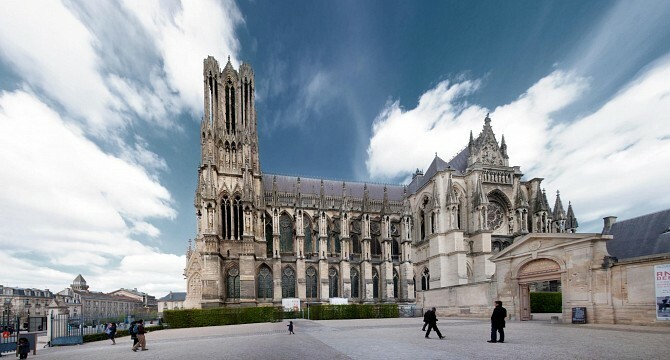 During the cathedral’s construction, a riot broke out when the inhabitants of Reims killed members of the cathedral chapter, setting back the construction of the cathedral by three years. In 1359 and 1360, during the Hundred Years’ War , the cathedral witnessed and survived being besieged by the English. 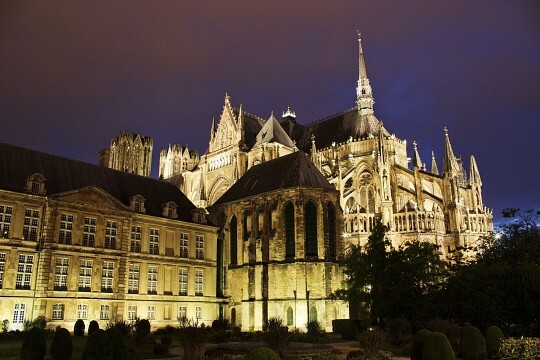 However, the English did control Reims Cathedral for 14 years following a victory at the Battle of Agincourt in 1415. 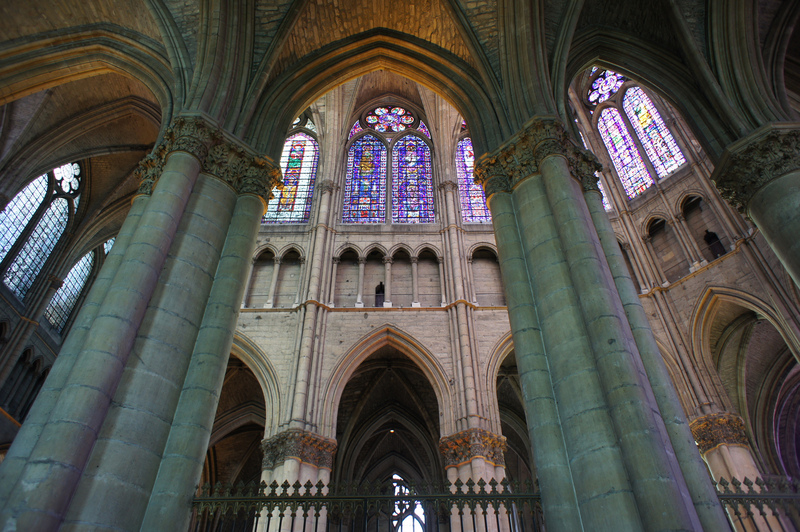 The cathedral was later liberated and returned to French control by Joan of Arc. 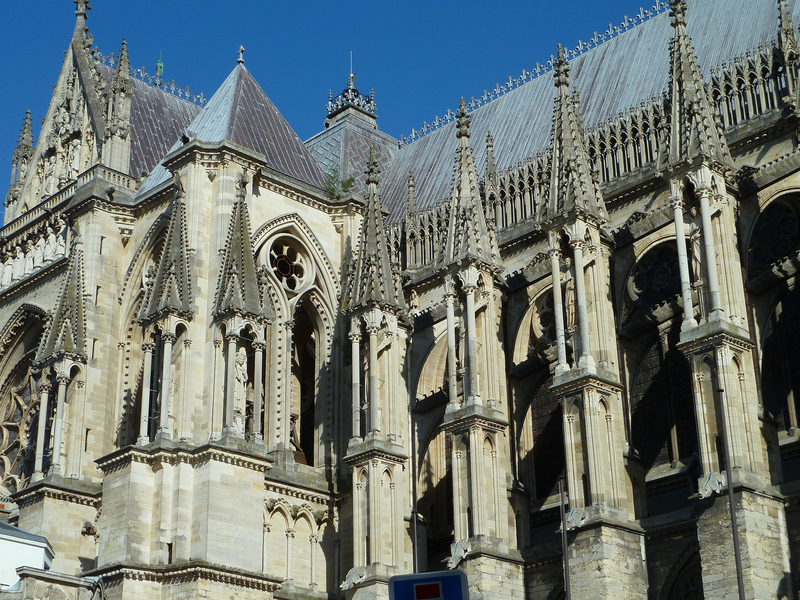 In addition to the Hundred Years’ War, the cathedral in Reims also survived both World Wars. During World War I it was shelled and various parts of the cathedral were burned after scaffolding caught fire. This resulted in the lead from the roofs of the building melting and destroying the bishop’s palace. 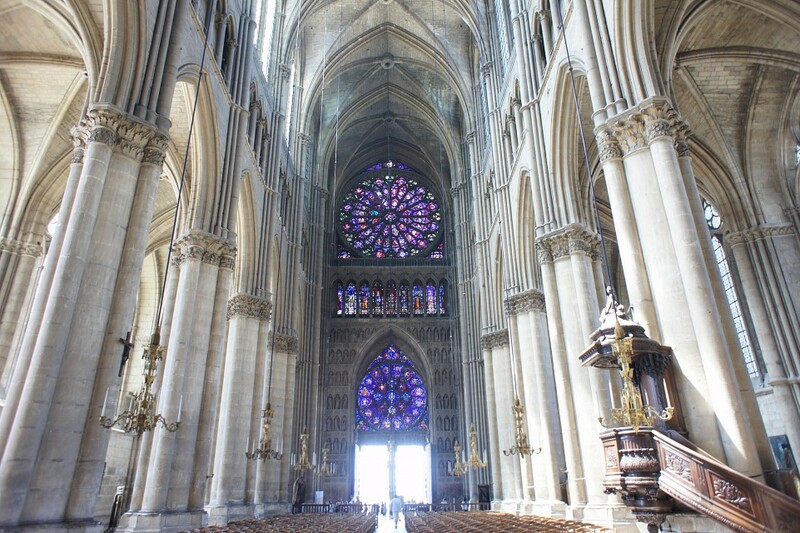 The cathedral’s long history and central role in the city’s cultural and historical background resulted in the cathedral being designated as a UNESCO World Heritage Site in 1991, although it had already been recognized as such for over a century according to French authorities. 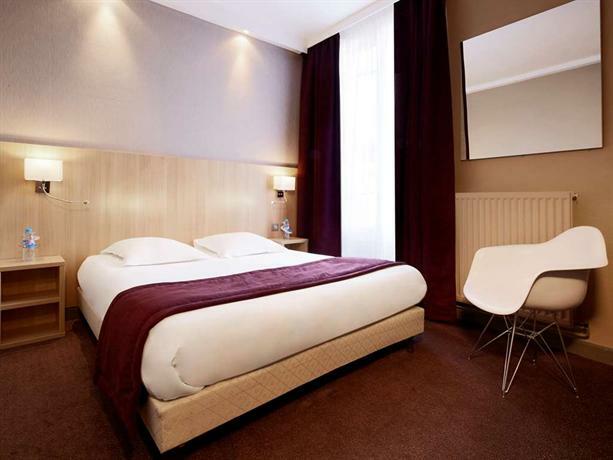 As Reims is a couple hours from Paris, flights to the country’s capital are the easiest and simplest way to get to start your onwards journey to Reims and the cathedral. 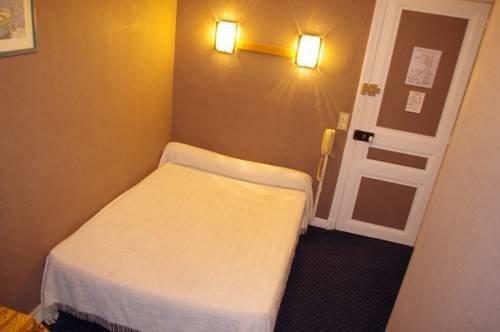 Paris Charles de Gaulle Airport is the largest airport in France and probably your best option in terms of flights. 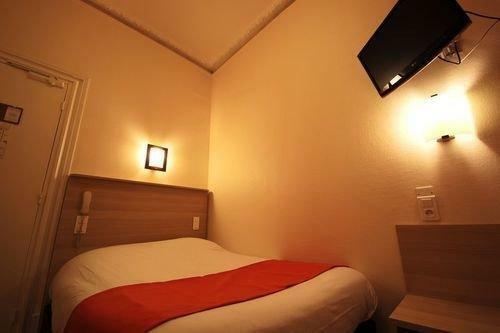 The airport is well connected to the center of Paris for further bus and rail connections and also a useful place to be if you’re renting a car. If you feel like heading directly to Reims from the airport, you can always take the train directly to the Champagne-Ardenne TGV which is situated just quarter of an hour outside of Reims. If you’re not flying in to Paris Charles de Gaulle Airport, you’ll probably be flying to Orly. The airport also offers connections to the center of Paris via the RER B line and a tramway that connects to Paris Metro’s line 7. A shuttle is available for connections to the RER C line. Budget airlines offer flights to Paris Beauvais-Tillé Airport. Take care when flying here as the airport is significantly farther from the center of Paris than you’d expect an airport bearing the city’s name to be. 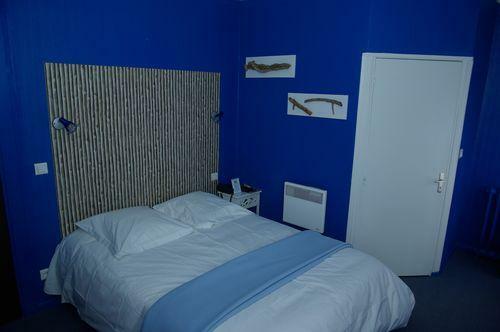 In fact, the journey by road from Paris Beauvais-Tillé Airport can take over an hour and can significantly complicate your travel plans if heading onwards to Reims. However, the drive from here to Reims is comparable to driving from the center of Paris. There are direct transfers from the Paris Vatry Airport courtesy of VatryBus, the simplest and easiest way to get from the airport to the city and on to the cathedral. However, very few airlines actually fly to this airport. As mentioned, getting to Reims from the center of Paris by car can take around two hours. 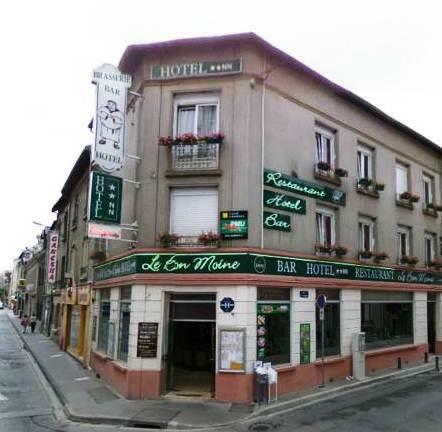 If you’re heading on public transport from the city center, then trains are the best way to get to Reims. Like with the airport, your final destination on the train will be the Champagne-Ardenne TGV station. There are buses available from a number of different nearby cities. There are buses from Troyes, Châlons, Laon, and Soissons.